This article compares the changing responses to the First World War in the writings of Wilfrid Gibson and his sister and fellow poet Elizabeth Gibson Cheyne. It is a revised version of a talk at given at the New Numbers, New Approaches conference at the University of Gloucestershire in June 2015, and subsequently published in Dymock Poets and Friends, No 15, 2016, pp. 44-59. To read more of the poems discussed here, see Elizabeth Gibson Cheyne on Violence and War and War Poems by Wilfrid Gibson. Other articles discussing their life, work, and politics are available on the Gibsons page. as a Word file. This work is licensed under a Creative Commons Attribution-NonCommercial 4.0 International License. War … is to me a business of innumerable personal tragedies: the tendency to think in abstract causes [such as national honour] seems to me liable to callous the souls of even the best of men. However noble our ends … the means we are forced to deploy … are in themselves horrible … Even the tale of glorious, individual heroisms and self-sacrifices can hardly compensate … [O]ur own young men … must inevitably slay and maim the innocent and helpless as well as the evil-doers. Recalling his own experiences in the First World War, Wilfrid told another friend that it was not so much being killed that he had feared, ‘what I really dreaded was that I might have to kill someone else’. Such feelings echo those of his sister Elizabeth, who once wrote that, ‘[w]ars would cease if every soldier recognised that he was a murderer’. That was in 1909; over the following decade her views would change dramatically. This paper compares the impact of the First World War on the lives and writings of Wilfrid and Elizabeth. Nineteen-fifteen was a pivotal year for both of them. It was the year Wilfrid published Battle, his influential collection of war poems. He was still living in the poets’ community near Dymock, though it was already disintegrating under the impact of war. Elizabeth, recently widowed, joined him there but didn’t stay. She and her brother became increasingly estranged, their attitudes to war ever more divergent. The unraveling of their once close and supportive relationship became just one more of the personal tragedies of war. My interest is in the relationships between individual biography and cultural change, between poetry and politics. How and why did Wilfrid and Elizabeth’s ideas about war change? Both believed in ‘Art for Life’s sake’, but how did this work out in practice? There are frustrating gaps in the evidence, and the more I look, the more I find complexities, ambiguities, and contradictions. The histories, like the poems, are open to more than one interpretation. From childhood, Wilfrid and Elizabeth bonded together for mutual support in an unhappy family. Elizabeth, nine years older than her brother, took on the responsibility for his education after his formal schooling ended in his early teens. A poet herself, she encouraged his interest in poetry, and in the early 1900s they shared their developing connections with publishers and artistic networks as both began to move — in print at least — from a local to a national stage. Their social and political networks also overlapped. Elizabeth, active in the suffragette movement, was a socialist and freethinker who embraced all religions while rejecting religious institutions. Wilfrid rejected religion altogether, but otherwise broadly shared her beliefs, if not her outspoken activism. They shared stylistic approaches too — some of their early work is almost indistinguishable, and the later shift from an ornate poeticism to a plain and simple style appears simultaneously in the work of both. That shift was influenced by their explicit commitment to ‘Art for Life’s Sake’, which for them was about accessibility as well as subject matter. Both saw poetry as their contribution towards the making of a better world. Many social reformers saw it that way too, and their admirers included the Rev. 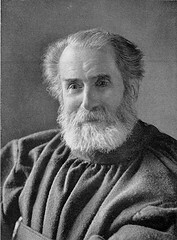 Professor Thomas Kelly Cheyne of Oxford University, a pioneer of the New Biblical Criticism. 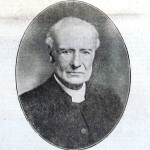 Thomas, in addition to his academic writing, was involved with the Christian Commonwealth, ‘Organ of the Progressive Movement in Religion and Social Ethics’. In 1911, he wrote a review of Wilfrid’s latest book, Daily Bread, hailing him as ‘a new poet of the people’. Thomas admired Elizabeth’s work too, devoting a long front-page article to her; entitled ‘A Poet among the Social Reformers’, it praised the originality and ‘rare distinction’ of ‘this frank and fearless writer’. He also sent her a private fan letter, initiating an intense correspondence. Within months, Elizabeth left the family home in Northumberland to marry him. The Cheynes were drawn together by their strong shared values, including an openness to all religions and commitment to ‘universal brotherhood’. Both advocated anti-racism and internationalism. Elizabeth denounced the oppression and exploitation she believed to be intrinsic to imperialism, and rejected notions of white superiority. As she wrote in her poem Kinship, ‘men are brothers, through and through; [t]heir life-blood flows in one broad stream’. In 1914, three years after their marriage, Thomas published The Reconciliation of Races and Religions, advocating mutual respect and interchange between all peoples of all religions. Dedicated to Elizabeth and published shortly after the war began, it included the anti-war manifesto of the Quakers and a last-minute preface expressing the hope that the book might further the cause of world peace. For savage warfare’s tarnished praise. Such divisions were reflected in the pages of the Christian Commonwealth. Its December issue carried an article by Abdu’l-Bahá, leader of the Bahá’í movement, appealing for a halt to ‘this wholesale murder and bloodshed’ and advocating ‘international solidarity and co-operation’. 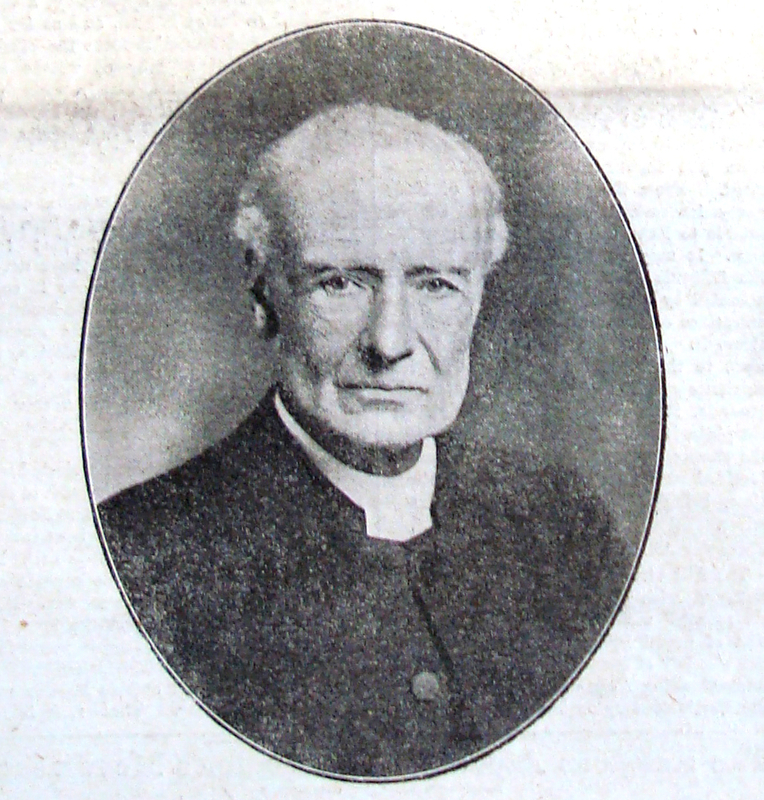 The same issue included the transcript of a sermon by Basil Wilberforce, Archdeacon of Westminster. Previously known as a progressive, Wilberforce had recently caused controversy in the national press with a sermon in which he preached to a congregation of soldiers that, ‘[t]he war to which you are called is a direct co-operation with the spirit of evolution which advances … humanity. In such a struggle … you are positively obeying God by killing men’. Now, in ‘Fighters and Shirkers’, he calls on everyone to do their duty: volunteer to fight and/or persuade others to do so. There is no death, he says, and those killed in battle are with God. Reading this, I was astonished to find that he then proceeds to quote from one of Elizabeth’s recent poems, ‘The Universal God Speaks in War-time’. Therefore, man, O man, have mercy upon me! My garden is laid waste. Man, O man, have mercy upon me! My Son, O my Son, Man, why hast thou forsaken Me? I don’t know how Elizabeth reacted to this (mis)appropriation of her work. Within weeks of it, her husband died, and she was overwhelmed with grief, her life in turmoil. Wilfrid and his wife Geraldine offered her a home with them, but though she visited, she did not stay. By the summer, Eddie Marsh was in the Gibson’s attic guest room, writing his memoir of Rupert Brooke, and Elizabeth was in London — staying in ‘Bishop Wilberforce’s Mission’. Before investigating this somewhat surprising development, I will turn to Wilfrid’s reactions to the outbreak of war. Shortly after war was declared, Wilfred wrote to Eddie Marsh objecting to the cancellation of the latest volume of Georgian Poetry. ‘I think it essential to do all we can to keep our flag flying during the triumph of barbarism.’ His response to Rupert Brooke joining up was: ‘Such people as Rupert [i.e. poets] must run no risks.’ After the deaths of Brooke and other poets, he wrote that, ‘Lascelles [Abercrombie] is rejected … thank God!’ and he hoped John Drinkwater, too, would ‘escape the clutches of the military machine. In 1914, his immediate response to the war was to begin writing the poems later collected in Battle. These stark, plainly written accounts of the war experiences of ordinary soldiers drew on newspaper reports and conversations with returnees from the front. He intended the book as a protest: as he wrote to Marsh, ‘I am most anxious for the poems to get at people’. To the best of my knowledge he made no public anti-war declaration. His feelings were in any case ambivalent. In May 1915, he wrote to his friend Percy Withers, offering himself and Geraldine as volunteers in Withers’ hospital: ‘We are untrained but able bodied’. Given Wilfrid’s extreme practical incompetence and poor health, it is perhaps just as well that this plan seems to have come to nothing. By the time Battle came out later that year, Wilfrid was reeling from the deaths of two of his closest friends, Rupert Brooke and Denis Browne. He wrote of Brooke, ‘Such waste! Such waste! His death seems to concentrate all the horrors of the War. But he really felt about it what he says in the sonnets’. Though far from sharing the younger men’s romantico-heroic approach to war, in November that year Wilfrid made the first of many unsuccessful attempts to join up. The army rejected him because of his short sight and poor health. It would not be until late 1917 that it lowered its standards sufficiently to accept him — by which time any initial enthusiasm he may have felt seems to have long evaporated. Meanwhile, Battle sold well; it got laudatory reviews in both establishment and anti-establishment press, and became an acknowledged influence on later, better-known war poets. Wilfrid was particularly pleased to hear it was appreciated by fighting soldiers. Money was another matter: Rupert Brooke had left him a share of his royalties, and by the end of 1916 these far outstripped earnings from his own work, as they would for many years. 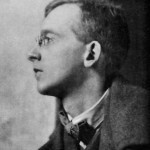 To supplement the family income, he agreed to go on a poetry reading tour of the USA in January 1917. Macmillan USA, who had published an edition of Battle the previous year, brought out Collected Poems 1904-17 to coincide with his visit. He got a warm welcome, and the tour would be a high point of his life. To some of his US audiences he was more than just a poet. 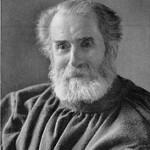 The pacifist Unitarian minister J. H. Holmes wrote: ‘Lovers of literature will be quick to do him honor. But [for] the leaders of social change and the seekers after an end to war… [he] is at once seer and prophet.’ During Wilfrid’s visit, the USA joined the war. When he returned to England, as he later related, it was on a ship carrying eighteen-hundred troops, two major-generals, guns for Russia, and a nine million dollar cargo of wheat, cotton and silver. Everyone aboard was — unsurprisingly — on edge, and on deck one day writing to Geraldine, he was detained and taken before the Captain to be interrogated about this suspicious activity. Not long after returning, Wilfrid was finally accepted into the army as a private, and began what he described in a letter to Harriet Monroe as the ‘squalid’ ‘grey drudgery’, and ‘soul destroying and stupefying routine’ of army life. Initially he was put on general labouring duties, but by the time of that letter he was assigned to clerical work. Having been graded unfit to serve overseas, he found himself form-filling for medical officers as they assessed other men’s fitness for frontline duties, an experience he drew on in a number of later poems. Playing my hazards with death, I know not if he ever returned. By the time he returned to civilian life, I think his feelings about war can be summed up his 1944 poem, The Victors. Or who the victors were, now none can say. Meanwhile, what about Elizabeth, back in Wilberforce’s Mission? From this point forward, evidence about her life becomes very sketchy. It is clear that within a few months of her arrival in London, her religious and political beliefs had shifted. I have found no direct evidence as to why, though I can suggest some possible explanations. She was not the only person to change her views in the early stages of the war. The sinking of the Lusitania, and reports of German atrocities in Belgium provoked widespread horror and revulsion. London saw Zeppelin air raids and the return of increasing numbers of wounded soldiers for treatment. On her arrival in the city, Elizabeth began to get involved with teaching and other mission work, which included visiting the wounded in hospital. If Wilfrid drew on first-hand conversations with wounded soldiers for some of his Battle poems, this might have been through Elizabeth’s contacts. But the impact on her poetry is very different from his. Her work had always been uneven, but now she expresses gratitude for the men’s sacrifice in what I can only describe as doggerel. A new nationalism appears in her work, and now the barbarism of war in general becomes the righteous fight against the barbarism of the enemy. This did not make her writing from this period popular, however. Self-published, it seems to have had very limited circulation and I have found no reviews — it seems that she lost her old readership without gaining a new one. Another contributory factor in her change of attitude may be related to the loss of her husband, and the role Wilberforce took in helping her to deal with the aftermath of his death. She probably knew Wilberforce before that, through the shared connections with the Christian Commonwealth. A couple of months after Thomas’s death, she tells a friend that, ‘on April 26th, Wilberforce gave my man back to me, and I have been happy ever since’. What did she mean? Wilberforce was by then a prominent figure in the renewed popularity of Spiritualism — its belief in contact with the dead a comfort to many at this time of mass bereavement. Although Elizabeth — as ever averse to joining any religious organisation — did not become a Spiritualist or attend séances, she writes that she now spends private time daily with her late husband (as well as with Jesus and various Saints). If, as it seems, Wilberforce facilitated these experiences, it must have made him very emotionally important to her. In this light, it is perhaps not so surprising that she came to share his hardline approach to the war. In any event, her alignment was from now on firmly with Christianity, asserted as superior to other religions. In her final book, which appeared towards the end of the war, she criticised peace-seekers, saying that war against the Barbarians must continue, that suffering (the more the better, she implies) is a necessary part of God’s plan. As I have suggested, this grim version of Christianity is perhaps less a theological and political conversion, than an attempt to come to terms with her own loss. Though so different from anything in her pre-war writing, there are occasional flashes of her old self in this last work. ‘It is the livingness of Religion that avails; unless Religion is experimental and practical it will shrivel and fall and die into dust.’ Religion ‘is not an end in itself, but only the way of the soul to God.’ She writes of the ‘marriage of Life and Art’ — but also of the ‘grandest marriage’, of Art and Religion — Art not for Life’s sake, but for God. So far I have found nothing written in her own words after that time. After the war ended she stopped writing. By 1920, if not sooner, her mental health had given way and she spent her final decade in Camberwell Asylum where, according to Wilfrid, she was happy enough, but read only ‘goody-goody books … she would have scorned in the old times’. She died there in 1931. To making arms, for killing other men. In 1946, he wrote that victory parades are ‘an outrage on decency … the squandering of money on flags in this famished and poverty-stricken world … an unpardonable extravagance’. What would he have thought of the inclusion of his poem ‘The Messages’ in the First World War Centenary commemoration service in Westminster Abbey? The day before, the same poem, thought to be one of the first to describe shell-shock, was quoted in a sermon preached in the Abbey by Canon Adam Tremlett. Though acknowledging that war’s ‘waste of human life and potential’, Tremlett goes on to claim that a more nuanced historical understanding of it focusses on the ‘necessity of securing and maintaining alliances: standing by our allies, doing the right thing whatever the cost.’ This is a far cry from Wilfrid’s feelings about either of the World Wars. His poetry became increasingly unfashionable in the inter-war years, and he struggled with ill health and depression. During the Second World War, he published several more books of war poems. Though these lack the freshness of his earlier poems, they brought him some degree of renewed success and recognition. They show occasional flashes of patriotism — a few were even used in a 1944 morale-boosting film put out by the Ministry of Information — but (as his letter to Binyon also indicates) his general attitude to war remains unchanged. Wilfrid did not try to make propaganda, but — as always — to tell stories of ordinary people, using language intended to be widely accessible. Unlike Elizabeth, he rejected general exhortation and political labels, going for the political through the personal. As the sermons quoting his and Elizabeth’s poems indicate, it is not possible to control how a work is understood and used; it is perhaps the greater scope for interpretation in his that enables Wilfrid’s wider poetic reach and popular appeal. Though it is usually his poems from Battle that are now remembered, his later ones cover a broad range of war-time experiences. Two of his own children were born in war-time, and he writes about the parental fears and longings of soldiers and civilians, fathers and mothers. He writes about women factory workers, child evacuees, and refugees, and draws on his own experiences fire-watching. And, repeatedly, he gives to his imaginary soldiers his own memories — of Northumberland childhood, or Gloucestershire countryside. Such poems are not about ‘fighting for England’, but show what they — like soldiers and civilians on every side of a conflict — will lose to the horror of war, in each one of those ‘innumerable personal tragedies’. Thanks to the organisers of the ‘New Numbers: New Approaches’ conference, who invited me to give the talk on which this paper is based; to Jeff Cooper, Susan Killoran, and Brendan McNamara for their generosity in sharing leads and information with me; and to all those archivists and librarians whose work has made the project possible. —1908, Sparks From the Anvil, E. Gibson: Hexham. —1909, Welling of Waters, E. Gibson: Hexham. —1911, The Way of the Lord. Mrs. Cheyne: Oxford. —1914, Oxford, Mrs. Cheyne: Oxford. —1914, A Rosary, Mrs. Cheyne: Oxford. —1914, Litanies, Mrs. Cheyne: Oxford. —1915, London, Mrs. Gibson Cheyne: London. —1918, The Wilderness Shall Blossom as the Rose, Elizabeth Gibson Cheyne: London. T.K. Cheyne, 1914, The Reconciliation of Races and Religions, A. & C. Black: London. —1915, Battle, Elkin Mathews: London. —1917, Collected Poems, 1904-1917, Macmillan: New York. —1926, Collected Poems, 1905-1925, Macmillan: London. —1938, Coming and Going, Oxford University Press: London. —1941, The Alert, Oxford University Press: London. —1942, Challenge, Oxford University Press: London. —1943, The Searchlights, Oxford University Press: London. —1944, The Outpost, Oxford University Press: London. —2004, ‘Shoulder to Shoulder: Wilfrid and Elizabeth Gibson’ in Dymock Poets and Friends, No.3, pp.23-33. —2014, ‘Elizabeth and Wilfrid Gibson: Art for Life’s Sake? Politics Religion and Poetry’ in Dymock Poets & Friends, No. 13, pp.36-38. Dominic Hibberd, 2006, Harold Monro and Wilfrid Gibson: the Pioneers, Cecil Woolf: London. Tim Kendall, 2013, ‘Wilfrid Gibson and the First World War’, Dymock Poets and Friends, No.12, pp.52-60. Christopher Martin, 2013, ‘The Source of Wilfrid Gibson’s Poem “The Messages”’, Notes and Queries, 258:2, June 2013, pp.281-2. George William Russell, 1917, Basil Wilberforce: A Memoir, John Murray: London. Laurence Binyon correspondence, British Library. Sydney Carlyle Cockerell correspondence, British Library. Dymock Poets Special Collection, University of Gloucestershire Library. John Drinkwater Correspondence, Marquette University Library. Robert Frost Correspondence, Dartmouth College Library. Roger Hogg, 1989, Wilfrid Wilson Gibson: People’s Poet, unpublished PhD Thesis, University of Newcastle. Edward Marsh correspondence, Berg Collection, New York Public Library. Harriet Monroe correspondence, University of Chicago Library. 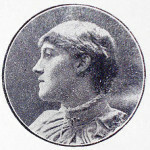 Dorothy Una Ratcliffe correspondence, Brotherton Collection, Leeds University Library. Adam Tremlett, sermon preached in Westminster Abbey, 3 August 2014. Wilfrid Gibson to Laurence Binyon, 10 October 1941. Ellipses indicate editorial cuts unless otherwise noted. Gibson goes on to say that Binyon and Gordon Bottomley are the only friends with whom he can share such feelings. WG to Ratcliffe, 5 January 1945. To avoid confusion, I refer to them, and to Elizabeth’s husband Thomas, by their first names in the text and by their initials in the footnotes. For more on their early years, see Greenway, 2004. For more on their poetry and politics, see Greenway, 2014. A small amount of material from that article has been re-used in this section. T.K. Cheyne, 1911, ‘From Romance to Reality’, Christian Commonwealth, 19 April 1911, p.508. Christian Commonwealth, 25 January 1911. Oxford, p.40. See also ‘The Coloured’, in Way of the Lord, p.44. Welling, p.18; Sparks from the Anvil, p.27. ‘British Women to the Women of Germany and Austria’ in Labour Leader, 24 December 1914. ‘The Voice of Universal Peace’, Christian Commonwealth, 9 December 1914, p.137. Basil Wilberforce, 1914, ‘A Sermon on War’, in Russell, Appendix III, p.163. The version used in the sermon and reproduced here has slight differences from the original, and omits two lines. I have omitted two more from the beginning. The full original version, from Litanies, p.9, is included in Elizabeth Gibson Cheyne on Violence and War. ‘Christian Commonwealth, 9 December 1914, p.22. Sermon given at St. John’s, Westminster, 27 November 1914. ‘God Supplicates His Son’, Litanies, p.10. EGC to Cockerell, 17 August 1915. An entry in the Abercrombie’s visitors’ book shows that Elizabeth visited Dymock again that October. Thanks to Jeff Cooper for showing me this. WG to Marsh, 16 August 1914. WG to Marsh, 23 August 1914, cited in Hogg p.120. See also Abercrombie to Marsh, 5 September 1914. WG to Frost, 18 November 1915; to Drinkwater, 2 December 1916. See Hogg p.135-6, Hibberd p.15, Martin, passim. Hogg also cites an anonymous article (possibly by J.H. Holmes) in The Survey, 27 January 1917, which mentions Wilfrid’s conversations with soldiers: Hogg pp.142, 161, 496. In a letter to Frost, 18 November 1915 — which also relates his first attempt to enlist — Wilfrid says he felt he must publish Battle as a protest, ‘however feeble and ineffectual’, against the war. See also WG to Marsh, 7 November 1915. WG to Withers, May 1915 (date omitted). WG to Withers 28 April 1915. It actually appeared that September, after his return to England. Holmes, 1917, cited in Hogg 178. It would be interesting to research the tour in the context of debates and shifts in US public opinion on the war. WG to Withers, 25 July 1917. This return journey is recalled in ‘Troopship: Mid Atlantic’, Collected Poems 1905-1925, p.465. WG to Ratcliffe, 13 October 1955. WG to Monroe, 10 September 1918. He makes similar comments elsewhere. E.g. ‘Medical Officer’s Clerk’, ‘The Chart’, ‘The Conscript’, in Collected Poems 1905-1925, pp.495-6, 496, 497. ‘E.g. ‘Camouflage’, and ‘Sentry Go’, in Collected Poems 1905-1925, pp.499-50, 501. WG to Withers, 26 September 1918. Emphasis in the original. WG to Marsh, 9 March 1918, cited in Hogg 187. He expressed similar thoughts in a letter to Jack Haines, 11 February 1918. ‘From ‘The Fatigue’, Coming and Going, pp.42-44. The autobiographical nature of this poem is confirmed by contemporary letters as well as by its use of his own name and army number. Although many of these reports have subsequently been shown to be Allied propaganda, the point is that people believed them. EGC to Cockerell, 17 August 1915. EGC to Cockerell, 4 January 1917. See for instance ‘The War’, ‘Sorrow Not, Even as the Rest, Which have No Hope’, ‘He Shall Give His People the Blessing of Peace’, ‘The War of the Cross, ‘Pain’, ‘Blessed be Sorrow’, in The Wilderness Shall Blossom as the Rose, pp.6-7, 9-10, 11-13, 52, 55, 90. ‘Life and Art’, ‘A Marriage Ceremony’, Wilderness, pp. 78, 53. WG to Cockerell, 8 January 1931. Poem first published in the New Statesman and Nation, 12 November 1932. WG to Ratcliffe, 24 June 1946. ‘The Messages’ (1914), is from Battle, p.38. See Martin for a discussion of its origins. Hogg 347. I have not discovered which poems were used in the film, but possible candidates include ‘England Aroused’ in Outpost p.84 (England stands against ‘insolent barbarity’) and ‘The Wild Swans’ in The Searchlights, pp.61-5. (on Dunkirk). See e.g. ‘The Craneman’, ‘The Sea Shell’, in Outpost, pp.8, 17. See e.g. ‘The Pig’, ‘The Refugees’, ‘Shells’, ‘The Fire-watcher’ in The Alert, pp.8, 13, 25-6. Other poems about women war workers include ‘In the Factory’, in Challenge, p.12; ‘The Canteen’ and ‘The Searchlights’, in Searchlights, pp. 32-4,82-4; ‘Offerings’, in Outpost, p.27. See e.g. ‘The Curlew, pp.34-6 in Searchlights; ‘The Abbey Tower’, in Alert, p.10; ‘And Now He Stumbles On … ’ [ellipse in original], ‘The Pillbox’, ‘Desert Night’, in Outpost, pp.4-5, 19, 34.